Greece is not just a popular destination for tourists, it is just as popular with migrating birds. For those birds which want to fly over the Eastern Mediterranean, it makes an ideal route, enabling the migrants from Central and Eastern Europe to fly across the mainland, or down through the islands, and then across to Crete from where it is a short flight to North Africa. There are several places in the country which are vital breeding grounds for birds, some of them seriously endangered. 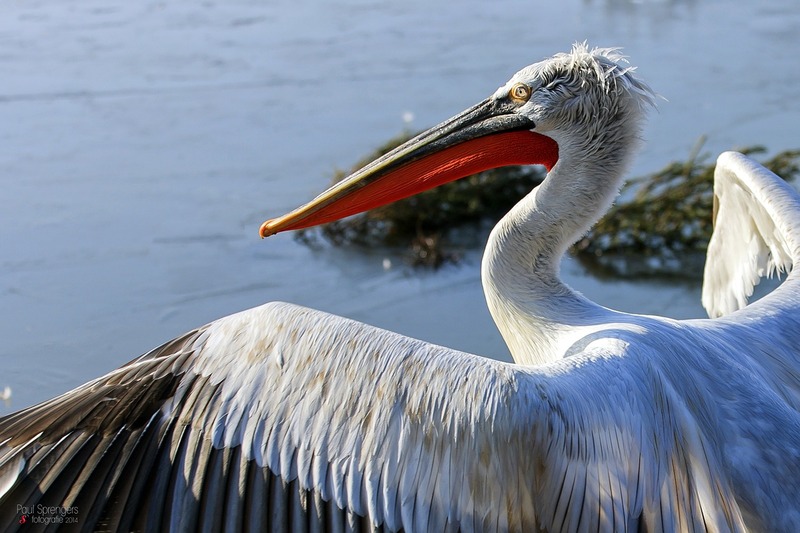 For example, the Prespa Lakes near the Albanian border are one of the few remaining areas in Europe where the Dalmatian pelican (above) breeds, a bird which is regarded as ‘vulnerable’ by the International Council for Bird Preservation. 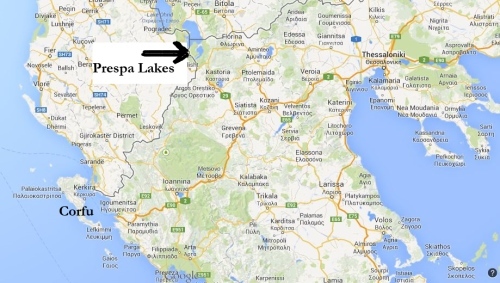 There are less than 1000 pairs worldwide, and almost 20% of these nest in the Prespa Lakes. 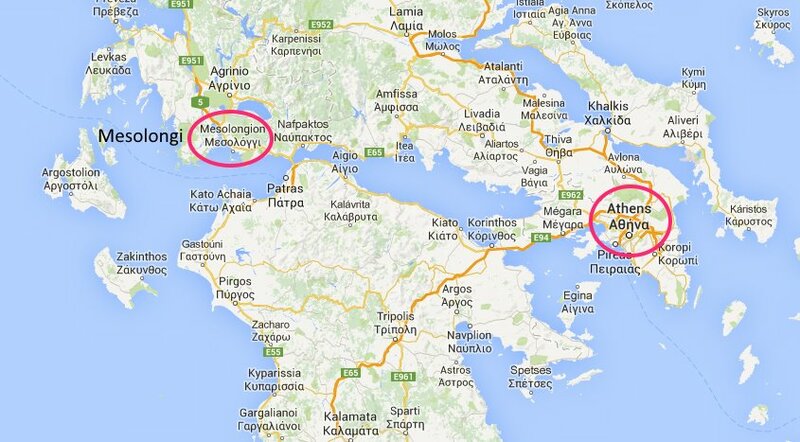 So too does the White Pelican – the only place in Greece where it can be found. Other important species there include the pygmy cormorant (also ‘vulnerable’), the rare goosander, and magnificent raptors such as the golden eagle, short-toed eagle and the booted eagle. 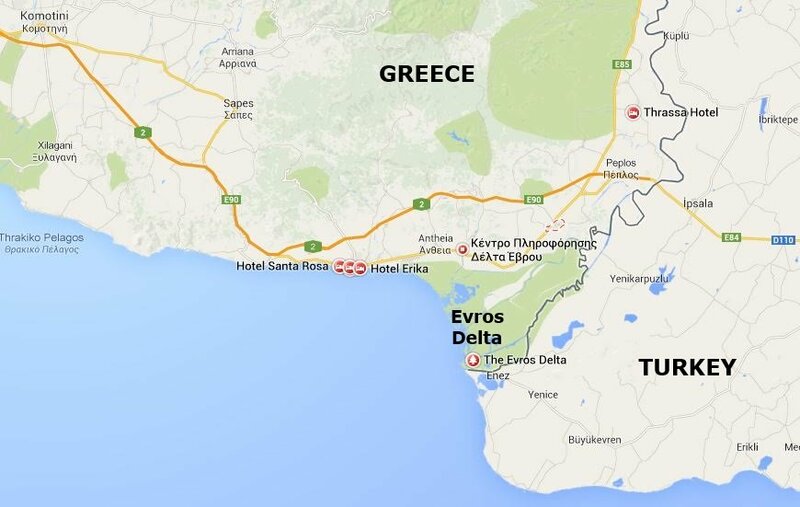 Even more important for Greece’s bird population is the Evros River Delta, east of Alexandroupolis and close to the Turkish border. This is a politically sensitive area but is a haven for wintering ducks and geese, with as many as 100,000 birds there at one time. Over 75% of Greece’s 408 species of birds have been seen in the Evros Delta. These include more pygmy cormorants, ordinary cormorants, white pelicans, herons, egrets, storks and any number of waders. Sea eagles can also be seen here. 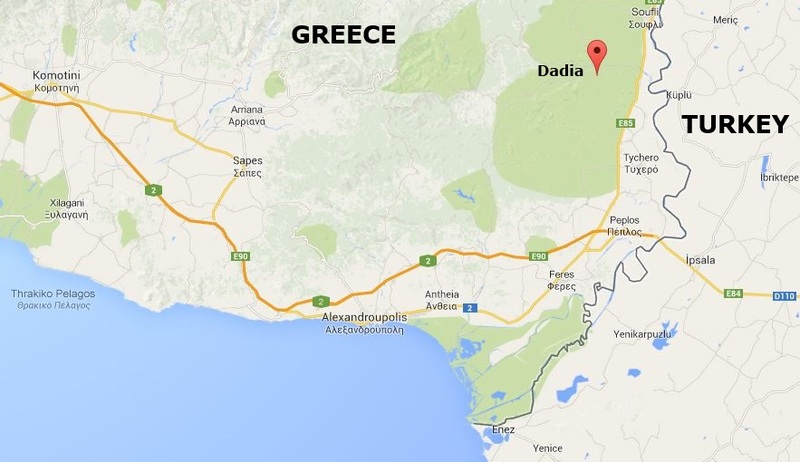 If you are especially interested in birds of prey you should head north from the Evros Delta and into the Dadia Forest, where no less than 36 of Europe’s 39 species of raptors have been spotted. Twenty-six of those species are known to live and nest in the pine forests on the slopes of the Evros Mountains. These include Greece’s rarest bird of prey, the sea eagle, one of the rarest in Europe, the black vulture, and others such as the griffon vulture, Egyptian vulture, golden eagle and the Levant sparrowhawk. On the western coast of mainland Greece, the wetlands around Mesolongi are among the most important in Greece. These are created by rivers such as the Acheloos and Evinos, which flow down from the mountains and between them have created a vast series of lagoons, mud flats, marshes and reed beds. Almost 300 species of birds have been observed here, and in winter there are vast numbers of coots (an estimated 30,000) and ducks (over 20,000). One important species here is the slender-billed curlew, which is endangered in Russia, where it nests, and Mesolongi is a vital stopping-off point on its migratory journey to its winter home in North Africa. A wide range of raptors has also been seen here, including the rare sea eagle and black vulture, while the sheer variety of the terrain makes it one of the most fascinating places in Greece for those interested in ornithology.